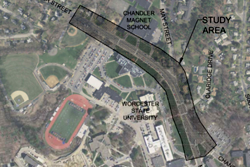 A review of traffic, pedestrian, and bicycle conditions along Chandler Street directly adjacent to the Worcester State University (WSU) Campus. 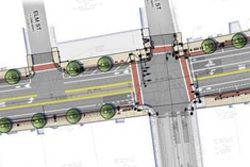 The City is embarking on a long-overdue $11 million top-to-bottom reconstruction of Main Street. 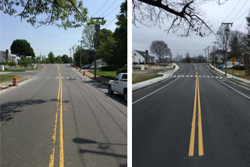 This is not simply a repaving project. This is a complete reimagining of Main Street. 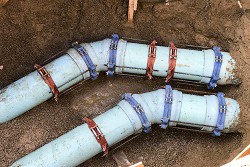 Information on public infrastructure construction taking place each month in the City of Worcester. A comprehensive solution to the sewerage needs of the Route 20 area and eliminates the need to operate the Broadmeadow Brook and Grafton Street pump stations.